Our IT & Data Security team specialise in providing proactive solutions to prevent future security breaches in your systems. Call us on 03300 53 59 55 to discuss your needs. 5th Utility understands that the world of data security is a quickly-evolving area with new risks and threats appearing on a daily basis. We also understand that for our customers, IT security can be a distraction from getting their business done. At 5th Utility we help our clients understand the different security threats that they may face, how to prioritise and then help mitigate against them. We supply a range of specialist IT and data security services and solutions that provide clients with access to the skills and expertise that they require, when they require them. We know that threats to your IT systems constantly evolve, taking on new forms and methods, we also know that staying ahead of the game is the best way to safeguard your business. Our customers rely on 5th Utility to help them identify and understand their risks and weaknesses, then explain the actions needed to remain safe. By taking your data and IT security seriously, you don’t just minimise the risk to your own business, but ensure you remain compliant with Data Security regulations such as GDPR. 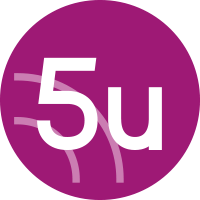 Whatever your requirements, 5th Utility can help you to identify the steps you should take to remain safe. What do our customers think of our IT & Data Security services? As the demand on IT evolve, so do the threats. We can have vast experience in all pillars of Security, and work with some of the best vendors in the space. We can design, implement and support the right solutions to keep you protected.